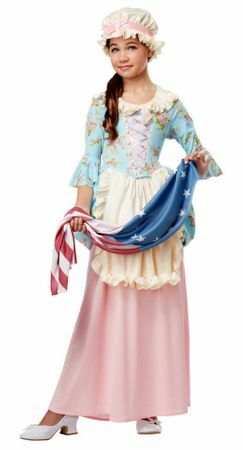 This lovely pastel child's Colonial lady costume is great for dressing up as historical figures like Betsy Ross and Martha Washington. 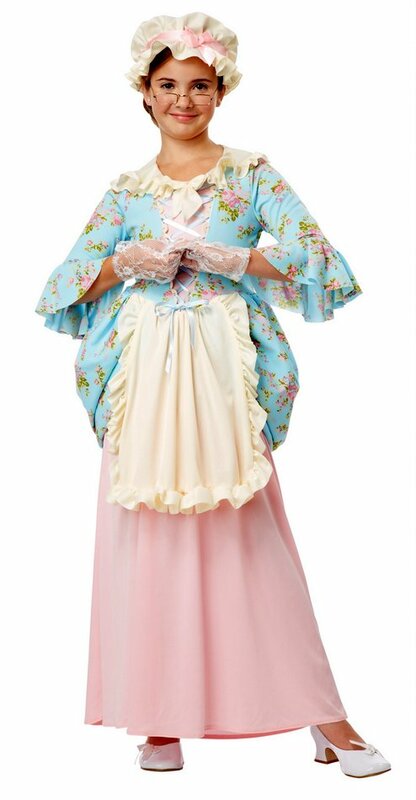 Includes blue and pink floral dress with ribbon lacing up the front, attached apron, mob cap, and a United States 13 states star flag. Shoes, glasses and gloves not included. 100% polyester. Great for parades, school plays, recitals and Fourth of July! By California Costumes. Check out more costumes and accessories in our 4th of July department!